Handling runoff from Florida’s heavy rains requires an exceptional drainage system. Pyramid Aluminum has the experience and expertise to design exactly what’s needed for your property. 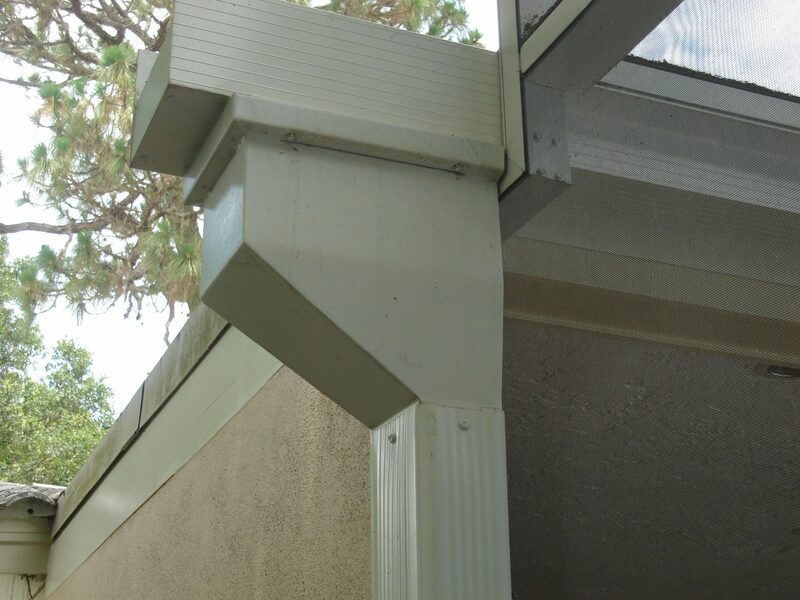 To manage the drainage from a large roof area, we make seamless aluminum gutters and collector boxes in 5”, 6”, and 7” sizes for residential, commercial, or industrial applications. They are attached with stainless or ceramic fasteners for non-corrosive reliability. If our installers should encounter some bad wood, they will go ahead and take care of it for you. No need to hire a carpenter. Since our aluminum comes in a wide array of colors, we can match, complement, or contrast to achieve any effect you might desire. Adding custom castings and designs achieves a unique look. 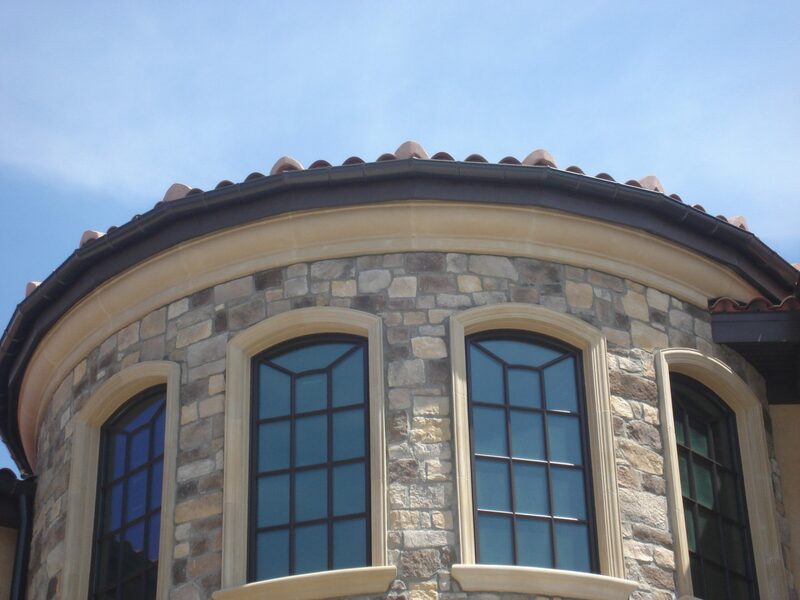 Pyramid Aluminum also offers custom copper gutters. 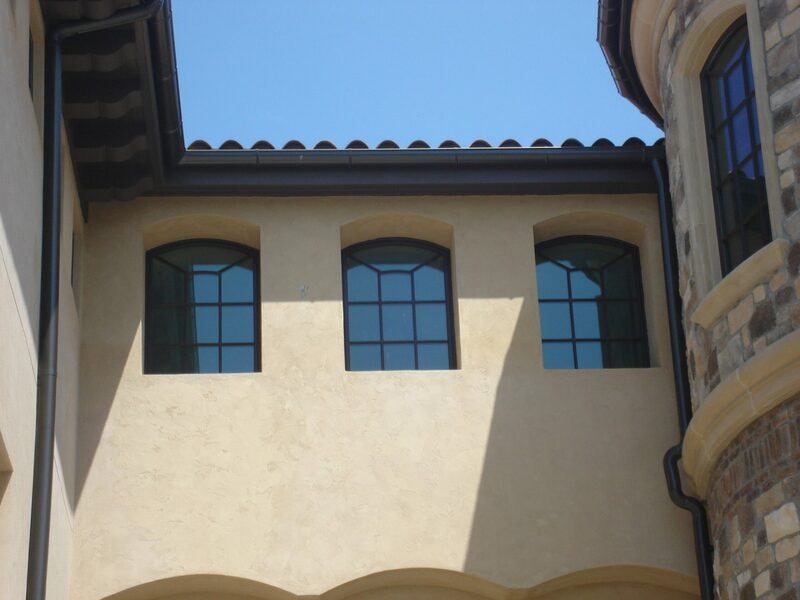 If more serious drainage issues are involved, we will seal the side of the house to prevent gutter runoff from pooling up in the foundation area. Then we divert the water into a drainage field leading to a dry well. The dry well is dug 3 ft. deep and layered with pea gravel and river rock. The catch basin itself is drilled to drain. We suggest techniques to make our project blend into your landscaping: Stepping stones can obscure the drainage field, and a dry well can be disguised with a fountain or statue. Your water drainage problems will soon be solved when you call the helpful people at Pyramid Aluminum. Powered by Stagg Branding Co.